Just a quick post of what I wore to have a mooch around town on Sunday. This outfit is pretty laid back for me and I rarely wear trousers these days, it's always a skirt or dress. 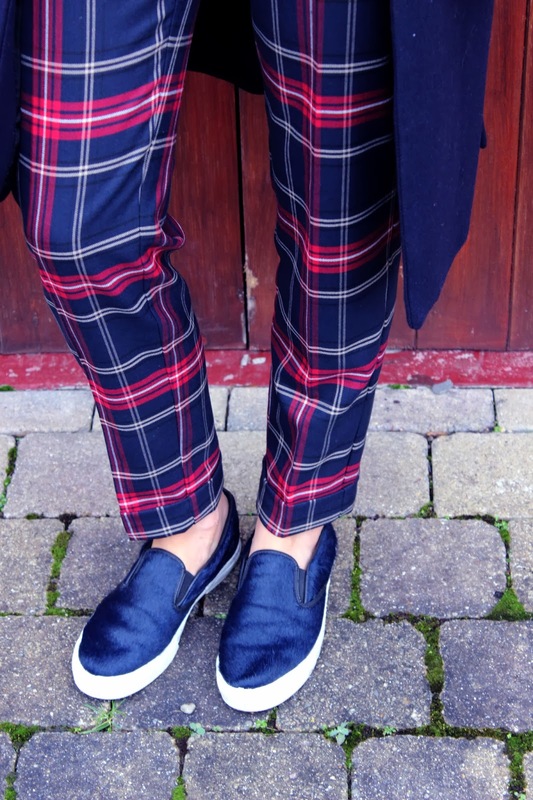 But anyway, I got these gorgeous Mango tartan pants for Christmas and I have been dying to wear them since. They are such a nice fit, much nicer than any Zara trousers fit me (I know, I did just find a fault with Zara. Whats wrong with me?!) and I love the colour! I think these would look great with heels so I will have to produce a few outfit posts including those too. I got these slip ons last year and I still love them, I thought blue was so much more interesting than the black Zara pony fur's that were everywhere last year. It's so nice to wear flat shoes for once too; is it just me or does anyone else find that small heeled boots hurt more than sky-scraper heels?! Here is another one of my fave mini messenger bags that I have become obsessed with lately. I can't believe this is from H&M! Granted it was from their premium range, but still. 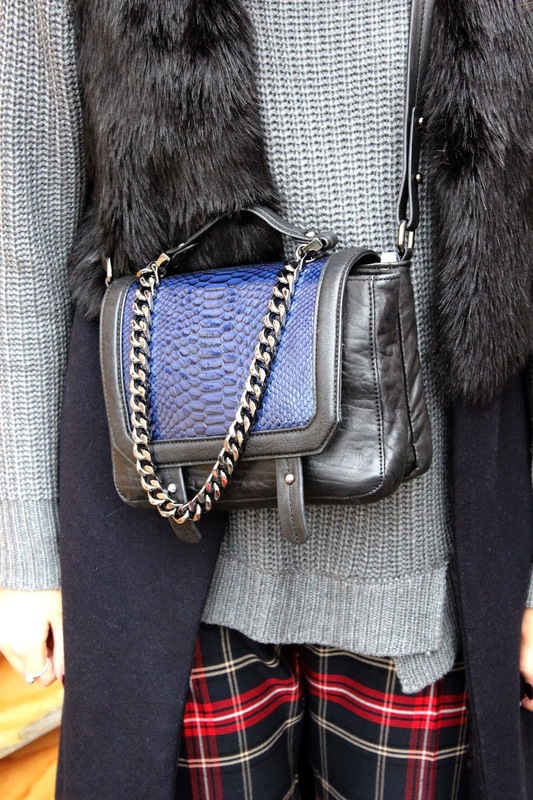 This bag ticks all the right boxes; stylish, good quality leather and surprisingly roomy! It's my mini Mary Poppins.